1.Node can rotate by degree. 1. Fix video doesn’t play when export animation. 1. Fix UI bug of “Transparent Background” option. 2. Fix transparent node become fade when background is transparent. 1. Fixed bug of multi-texture. Version 11.06.28 add many node templates. Add node template function. 4.Modified the bug of play animation only one times. 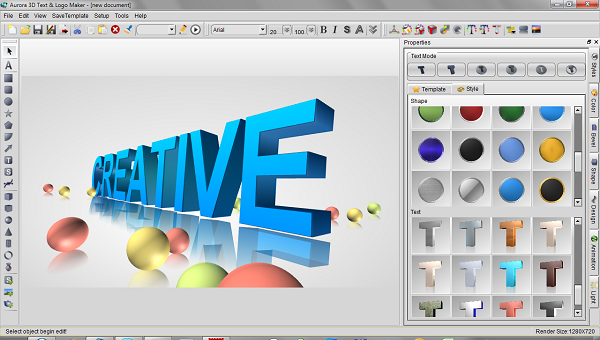 2.Add 3D text modify char style.